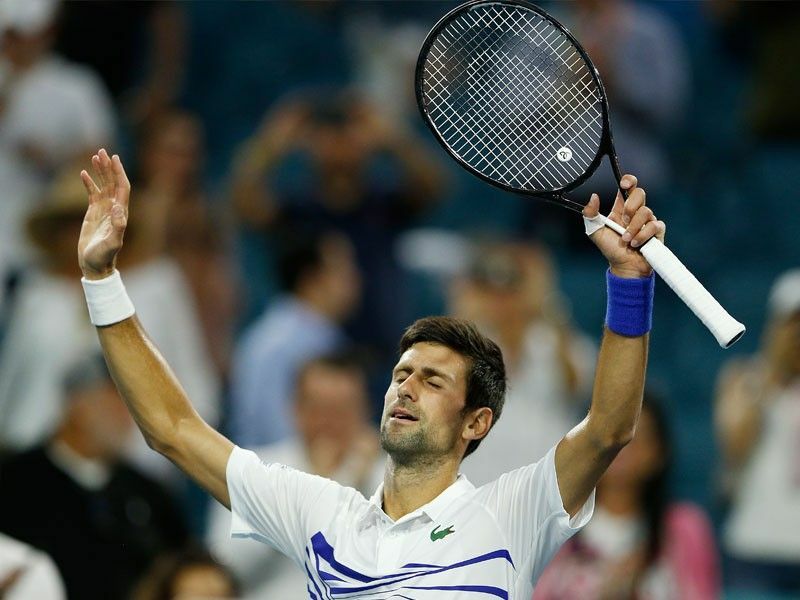 Novak Djokovic of Serbia reacts after defeating Federico Delbonis of Argentina on Day 7 of the Miami Open Presented by Itau at Hard Rock Stadium on March 24, 2019 in Miami Gardens, Florida. MIAMI – Novak Djokovic remains on course for a record seventh Miami Open title, but the world number one admitted to a loss of focus in a 7-5, 4-6, 6-1 victory over spirited Federico Delbonis, which booked his place in the last 16. He couldn’t keep the pressure on, however, and when Djokovic managed to get 3-1 ahead, this time there was no way back for the 28 year-old from Azul, who rightly received an ovation from the center court crowd for his monumental efforts. Defending champion John Isner blew Spain's Albert Ramos-Vinolas off court with serves touching 139 mph as the American sealed an ultimately comprehensive 7-5, 7-6 (8-6) win to set up an intriguing match with Kyle Edmund in the last 16 after the British number one impressively saw off Canadian Milos Raonic 6-4, 6-4.